The International Institute for Strategic Studies’s (IISS) annual Shangri-La Dialogue brings together diplomats, ministers, and representatives from around the world to discuss Asian security. Researchers at Western think tanks including from the IISS itself have been promoting this year’s forum as an opportunity to sell Washington’s re-branded “Indo-Pacific” strategy and the continued primacy of the US and its “rules-based international order” across the region. …a strategic competitor using predatory economics to intimidate its neighbors while militarizing features in the South China Sea. Mattis would draw heavily from the NDS document throughout his opening remarks and repeatedly during the following question and answer session. By the end of his session it had become abundantly clear that the US sought to maintain the status quo including enduring security threats the US would use to justify its military presence across the region and to arm its various allies, treaty members, and other partners to meet – much to the delight of the Shangri-La Dialogue’s sponsors this year – including Boeing, Raytheon, Airbus, Lockheed Martin, and BAE Systems. Repeatedly referring to China and the South China Sea, as well as North Korea and Taiwan – Mattis declared that part of American leadership in the Indo-Pacific region would be the building up of allied military, naval, and law enforcement capabilities. Harris [said] some of that growth was coming from emerging regional customers, and from providing new capabilities to longstanding customers such as South Korea and Japan, which continue to pursue their defensive capabilities even as they endorse Trump’s efforts to seek a deal for North Korea to give up its nuclear arsenal. Bloomberg’s article highlights the intertwined relationship between security risks the US intentionally cultivates throughout the region and the profits of US and European arms manufacturers like Raytheon. The US itself cultivates several of Asia’s most pressing security challenges. One example of such cultivation is the US organizing a lawsuit before the United Nations Convention on the Law of the Sea on behalf of the Philippines versus China regarding disputes over the South China Sea. Despite efforts to portray the lawsuit as “Philippine,” it was in reality headed not by lawyers from the Philippines, but by a US-British legal team led by Paul S. Reichler of the Boston-based law firm Foley Hoag. The lawsuit and ruling have been cited by the US repeatedly as a means of justifying its continued “freedom of navigation” operations in waters claimed by China. Concurrently, the US also maintains a significant military presence on the Korean Peninsula, ensuring tensions between North and South Korea perpetuate indefinitely. US assistance to Taiwan has also been a source of constant contention in the region for decades. 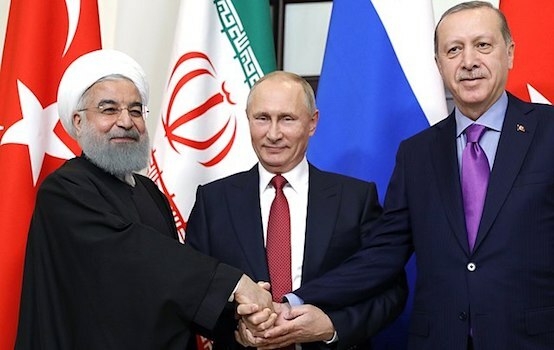 The cultivation of tensions across the region ensure a steady flow of profits to arms manufacturers, but war profiteering is only part of the equation. Mattis was not just promoting a formula to fill the coffers of arms manufacturers, he was also writing a prescription for continued US hegemony across Asia. 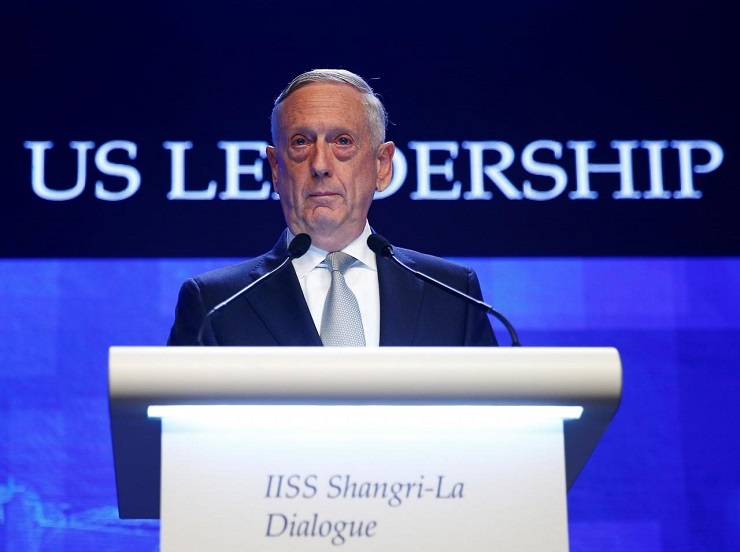 While Mattis repeatedly referred to protecting concepts like self-determination and national sovereignty across Asia – he did so only to obliquely justify US accusations of Chinese expansionism and the extensive US military presence in Asia Washington claims is required to thwart it. Beyond that, Mattis would in fact discuss the many ways the US intends to undermine both self-determination and national sovereignty for nations across the region. His mentioning of US plans to strengthen “the rule of law, civil society and transparent governance,” refers to the massive and still growing network of US government-funded fronts operating around the globe including all throughout Asia. These include fronts funded by the National Endowment for Democracy (NED) and its many subsidiaries, as well as media fronts posing as local independent news sources funded and directed by the Broadcasting Board of Governors (BBG) chaired by the US Secretary of State Mike Pompeo himself. It is a network that operates in parallel to each targeted nation’s own institutions including government, courts, media, education, and charity – with the goal of pressuring, co-opting, and eventually replacing them with an administrative network funded and directed by Washington to serve US interests. Mattis would also take a swipe at Chinese efforts to offer the region an alternative through its One Belt, One Road initiative (OBOR). Mattis would claim that the US recognizes the need for greater investment, including in infrastructure and that US development and finance institutions would work to provide “end-to-end solutions that not only build tangible products but also transfer experience and American know-how,” echoing the underlining theme of China’s OBOR projects like dams, high speed rail networks, power plants, and roads that China is currently building within its own borders and is already constructing across the region. Mattis never elaborated on what any of these American-made “tangible products” would be. He would also indirectly refer to OBOR as “empty promises and the surrender of economic sovereignty” – perhaps in the hopes that those listening to his comments did not recall the International Monetary Fund’s attempts to foist precisely both onto Asia in the late 1990’s. ASEAN “centrality” and the need for the geopolitical and economic bloc to “speak with one voice” was also repeatedly mentioned by Mattis. This is most likely in reference to the fact that ASEAN has consistently failed to produce unanimous or significant support behind US efforts regarding the Korean Peninsula, the South China Sea, and the Strait of Taiwan. The US has actively attempted to pressure the bloc as a whole and each member state individually to support Washington’s interests. And as if to highlight just how few nations in the region are willing to serve US interests over their own – Mattis made mention of other “Pacific” allies being brought into the Indo-Pacific fold including the United Kingdom, France, and Canada. The integration of rising powers refers directly to China and its integration into the US-led world order. This is not merely drawn from the 2018 NDS, it is a decades-long agenda US special interests have pursued and articulated in policy papers for years. Kagan would mention the necessity to both contain China and begin integrating into the US-made and led world order. However, Kagan himself is merely echoing US policy objectives stretching back even earlier, including the US Department of Defense’s Pentagon Papers released in 1969. Mattis’ “Indo-Pacific” strategy is merely the latest iteration of plans aimed at “containing China.” Each front mentioned in the 1969 Pentagon Papers was likewise mentioned by Mattis in relation to encircling and containing China. Mattis’ remark regarding the integration of rising powers indicates the final vision Washington sees in Asia – one in which China is subordinate to a still US-dominated international order. Mattis – as many others have done before public audiences – attempted to sell what is for all intents and purposes American global hegemony – as a central necessity for global peace, freedom, and prosperity. It was Mattis’ version of American-Asian history that reveals the true crisis of legitimacy facing attempts by Washington to maintain a “leadership role” in a region literally an ocean away from its own shores. …this is an America that if you go back several hundred years to President Jefferson, from then one, we saw this as an opportunity out in the Pacific to and with nations. Our first Treaty of Amity was with Thailand back in the early 1800s. For 200 years we’ve been here. For 200 years we’ve watched the European colonial wave come through and then recede. We have watched fascism, imperialism, wash over the region, and at a great cost to many of us in this room and our forefathers it was pushed back and defeated by 1945. We watched Soviet communism as it tried to push into the region, and the Cold Ware blunted stopped and rolled that back, so we have been here. We have seen those who want to dominate the region come and watch them go, and we’ve stood with you. And yet even a cursory grasp of the last 200 years of American history in Asia reveals precisely the opposite. The United States was – as a matter of fact – part of that European colonial wave that swept through the region before the World Wars. The US invaded, colonized, and brutally put down an independence movement in the Philippines between 1899–1902. The Philippines were not granted independence from the US until 1946. During this same period, the US also aided European colonial ambitions – including the use of US troops to put down the Boxer Rebellion in China. Immediately following World War 2, the US found itself aiding France in its attempts to reestablish control over its colony of Indochina, eventually leading to the US-led Vietnam War and the death of millions. 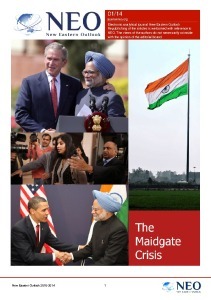 The difficulties the United States faces now in Asia – when understanding America’s true role in the region – past, present, and future – is a region that seeks “freedom, independence, and sovereignty” to use their own people and resources to serve their own interests – free of foreign interests that have attempted to siphon wealth and power from the region for centuries. Despite attempts by the US to portray itself as central to Asian security, peace, and prosperity, it is widely understood that it is the greatest obstacle to it. It’s immense power and influence necessitates a patient and “polite” transition – balancing an ebbing America with a flowing China – but it is an inevitable transition all the same. The US is left with a choice between gracefully integrating itself into an emerging multipolar world order or stubbornly clinging to its fading unipolar hegemony. While one offers the risk of being perceived as weak, the other almost guarantees America demonstrating weakness.